All too often, great trainers won't take on amateurs. To work with the best, it sometimes feels like you already have to be the best. Stephany believes every rider (and every horse) deserves quality training and five-star treatment. That's why she focuses on helping adult amateurs -- even if they never plan to enter a single competition. If you're eager to learn, open to new ideas, love and respect your horse, and have a good attitude, you're probably a great fit for Serendipity Dressage. Better still, Stephany welcomes adults from ALL disciplines to her training programs and uses the principles of classical dressage and rider biomechanics to improve not only the most dedicated dressage riders, but also those involved in reining, cross country, hunter jumper, and western dressage (and everything in between). NOTE: We also work with professional riders! Check out our Accolades page to hear from some of our professional clients. You can have the most talented horse in the world, but if you ride him in an unbalanced manner, he'll never reach his true potential. Stephany is the only Level 1 Accredited Instructor of Mary Wanless' Ride With Your Mind Biomechanics System in Florida year-round -- and one of only nine accredited instructors in the entire United States. Lessons and clinics revolve around the core principles of biomechanics and how our bodies affect performance of our equine partners. Stephany's training rides help the horse learn faster and more clearly, as her own correct biomechanics enables her to assess and adjust in the saddle effectively. Learn how your body affects the balance, movement, and performance of your equine partner. Improve your body awareness and position--know why you do what you do and how to do it with more harmony and effect. 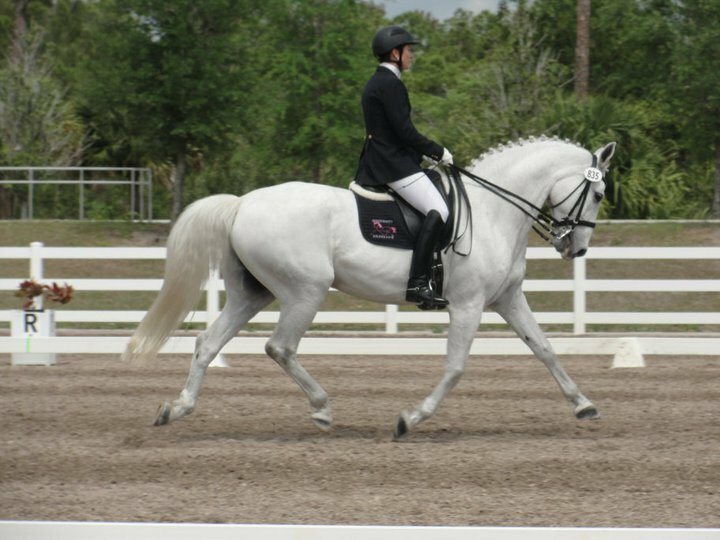 Learn how to incorporate biomechanics with the classical dressage theories to improve your scores and move up the levels. Classical dressage training can sound intimidating, especially if you're working in another discipline. Stephany helps make the core principles of classical dressage easy to understand and applicable to riders of all levels and disciplines. Whether working your way through the Training Scale or mastering the Circle of Aids, you'll walk away with tangible examples, exercises, and experiences you can use to continue your training at home. Become a more balanced rider and learn to absorb information faster. Enjoy clear, concise, and creative instruction that moves past antiquated teaching methods. Benefit from individualized training based on your unique needs and learning style. Finally understand the WHY behind classical tenets to ride (and compete) with confidence. Create a deeper relationship with your horse based on clarity, trust, and understanding.